You know students are excited about a speaker when they’re flipping around in their chairs to take selfies with a screen. That’s exactly what happened Oct. 22 when Edward Snowden joined students via Skype at the annual Associated Collegiate Press National College Media Convention in D.C.
Snowden, 33, worked for the CIA in 2013 when he copied and leaked classified NSA information that revealed global surveillance programs that the government openly denied existed. Snowden essentially found that the government was accessing and storing people’s emails, instant message conversations and other online information without their knowledge. After he could not get superiors at the NSA to listen to his concerns about the constitutionality of these practices, Snowden leaked the information to journalists. Snowden is charged with violating multiple federal laws and sought asylum in Russia, where he still is now. Snowden’s talk followed Donna Brazile on Oct. 20 and Bob Woodward on Oct. 21. 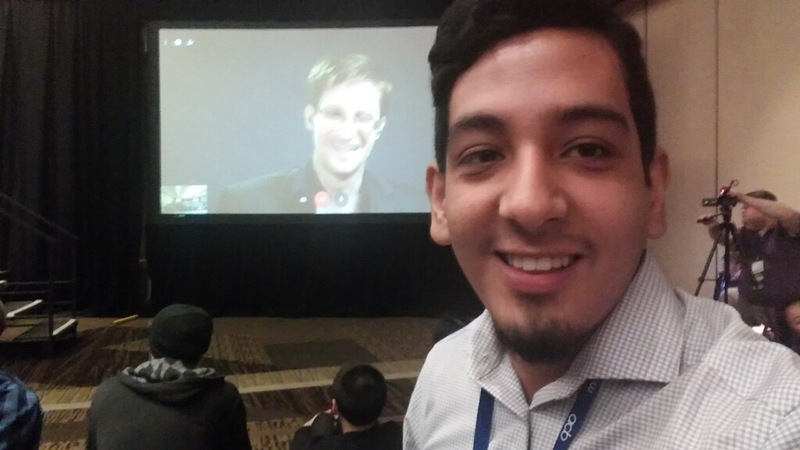 Unlike the others, Snowden could not join us in person (for obvious reasons), but he did give a short talk, then answer student questions for about an hour. Snowden told the record-sized keynote audience that his issue wasn’t about surveillance, it was about democracy. For the first time in history, we don’t have government teams tracking people who have done something to cause them to be monitored, we have people in government tracking everyone in the world, he said. Technological advances and widespread use have made it cheap and easy to track everyone in the world, Snowden said. It’s up to journalists to report on these failed government systems, Snowden said, because they are challenged by the constitution to do so. And, at times, whistleblowers are journalists’ best sources, he said. 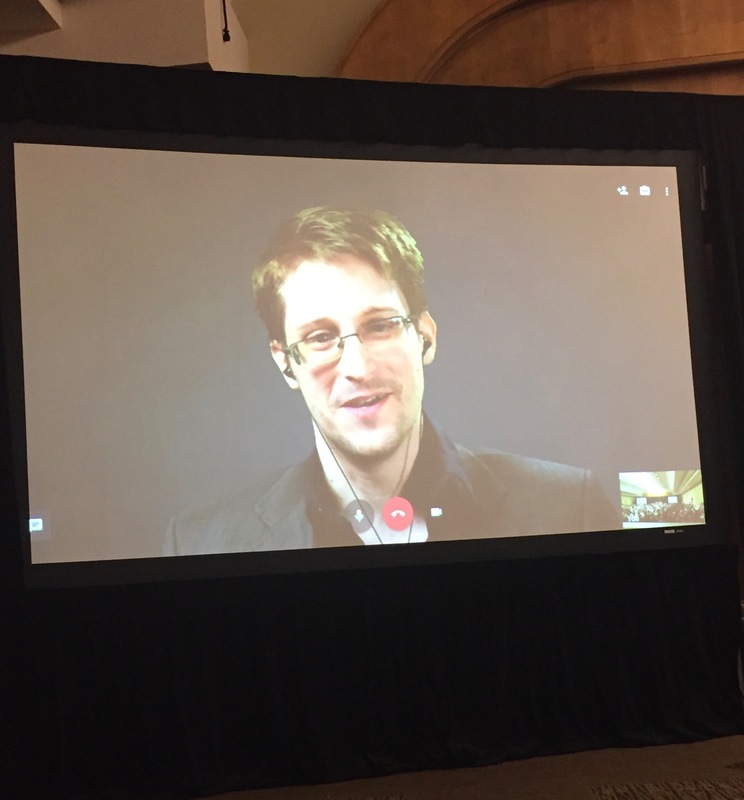 The government often is less interested in protecting national security as they are about protecting political orthodox, Snowden said. And it’s not an American problem, it’s a global problem that results in the need to guarantee and enforce human rights, he said. One way to stop (or at least strongly discourage) widespread government surveillance is to make it more expensive and cumbersome, like it used to be, Snowden said. Because, he said, the Bill of Rights is about making government enforcement more difficult. But the story really isn’t about Snowden. He said he never wanted it to be about him. 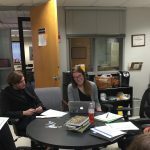 He was in a position to be a mechanism of disclosure, so he chose to communicate with specific journalists who he thought would understand the complex issue and ask tough questions. In the end (or middle, depending on your perspective), he came forward to give the information he provided more credibility and to protect others. Despite being in asylum, Snowden said, if he had a chance to change what happened, he would not. In fact, Snowden said, if he had a time machine, he would go back and do it sooner.